As we’re in the middle of summer now, I’m realizing I need to start focusing on my 101 in 1001 list. I’ve completed 18 out of 101 goals so far and am in the middle of completing a few other ones. I think we will be able to cross some of them off soon, like a few of the traveling ones and the wine tasting. Maybe we can also do a day trip to Boston one weekend to visit the Museum of Science, though Sista went a couple weeks ago and she wasn’t that impressed with what the museum had to offer. I really should get moving on my first goal of reading 40 books – I’ve completed 2 so far since January, which is pretty unusual for me as I love to read. However, I just ordered some more books on Amazon last week so I should be able to start reading on a more regular basis. 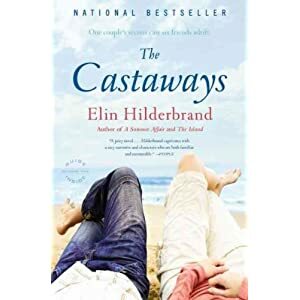 I finished The Castaways by Elin Hilderbrand this morning. I haven’t read any of her books before, but I was pretty satisfied with her style of writing. Definitely a good beach read. Target sells a lot of her books as the small paperback format so they’re only $7 bucks a piece, which means I may pick up her other titles up this week. If anyone has suggestions for other light and easy summer novels, let me know! In May, we traveled to Mexico to celebrate our official one year anniversary. During that trip, we went snorkeling, which completed #18. I’ll be honest, the snorkeling completely freaked me out at first and it took a while to adjust with breathing. Once I got comfortable, I was okay and start to enjoy it until we swam out of the lagoon farther and farther into the rocky ocean waves. Overall I’m glad I did the snorkeling trip but next time I think we’ll have to better clarify where they will exactly be taking us :) We ended the trip with a short excursion into an underwater cave which was amazing. Definitely the highlight of the day and I wish we could have spent more time in there. Sista and I went blueberry picking last weekend so I did cross off #81, even though the item was technically meant to pick the berries and then make jam using them afterwards. Technically I made jam back in March so I decided it was okay to cross off the entire item after we finally went picking last week. It’s way too hot to make jam right now anyway! I’m thinking of making a crisp or some blueberry bars for a BBQ party next weekend.